There are just as many reasons for getting into debt as there are types of debt. If you have a growing burden of debt and are looking for effective ways of managing it, below we provide useful tips to help you keep track of and consistently reduce your financial obligations. If you are having problems with your cash flow, begin by drawing up a budget showing your income and expenditure for each month. This way, you can allocate your scarce resources more effectively, as well as identify any expenses that can be done away with. From your expenses, see where you can reduce amounts by using slightly cheaper goods and services for the same quality. Keep a journal of your real cash outflows and inflows, no matter how small, every day for one month to see where you have any funds slipping through the cracks in unnecessary spending. Also, reduce spending on non-essentials like going out and entertainment until you have your finances back in control. Before taking up another financial obligation, use the 35% debt-to-income ratio or less than that depending on your other expenses. In any month, no more than 35% should go towards debt resettlement. Avoid taking up credit from too many sources as they are harder to keep track of. 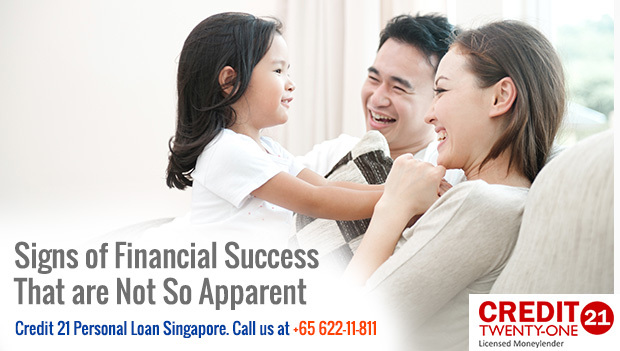 Even if you qualify for bigger loans, do not take any more than is necessary to meet your financial need. Save up for things you want as much as you can, don’t take loans to finance luxury expenditures. Full and prompt payments on required installments for outstanding loans will help you avoid any late fees/penalties as well as increases in interest. If you are unable to keep up with the next repayment for any reason, contact your lender in advance to see what options you have. If you run into unexpected incomes like bonuses from work, instead of using all the money for fun, take a significant chunk and reduce your outstanding financial obligations. 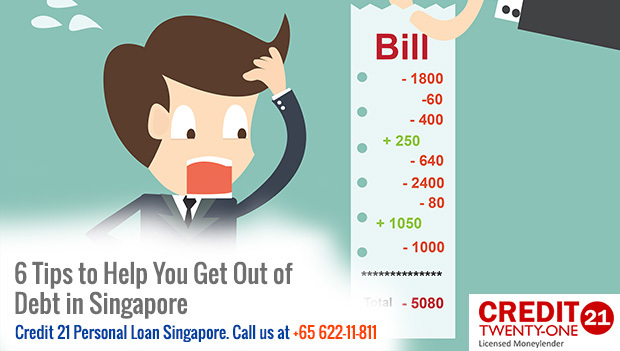 Find out, at the point of taking up the loan, the charges and terms related to early repayments in lump sums. Start with the ones where you have the highest interest rates depending on your analysis. If it is a permanent increase, such as a salary increment, talk to your lender about making larger monthly instalments in order to finish repaying sooner. Concentrate on the loans that have the highest interest rates, which will likely be credit cards. Control your credit card spending by limiting purchases to amounts that you can repay in full at the end of the month. If you cannot pay the full amount, pay back as much as you can manage, and reduce your credit card spending until you have less outstanding debt. Smaller balances mean less interest. If you have many debts from multiple sources, consider the options of a debt consolidation loan or refinancing which offers you the chance to put all your debt into a single package, which lowers interest. Before signing up for it, ensure the lower interest does not come with any disclaimers, such as being low for a certain period of time only. Just like any other loan, carefully look at the terms and conditions before taking up a refinancing plan or debt consolidation loan.  Create a schedule listing all your debt, including bank loans and any other credit offered from other sources. These include home and car loans, credit card payments, personal loans, credit card balances. Hire purchase plans and all bills that have fallen due. Include interests, late penalties and other charges, including whether or not you are subject to legal action. As a general rule, begin repaying debts that place your assets at risk e.g. home loans, followed by debts with the highest interests e.g. credit card balances. Then pay off debts that come with shorter grace periods or where legal action has been instigated against you. If you are unable to keep up with repayments e.g. if you lose your source of income, get in touch with your lender immediately to negotiate the possibility of a loan restructuring. Failing to keep up with payments will adversely impact your credit report, which is what future lenders use to determine whether or not to offer you credit. If you default on a loan, or even pay in full but not on time just once, you may get a bad entry into your credit report, which could jeopardize your chances of acquiring credit in future, or prompt lenders to offer higher interest rates. Protect your credit score right from the beginning by staying on top of obligations, including utility bills, and carefully considering whether to take up a loan. If you have to, ensure you can comfortably keep up with repayments.